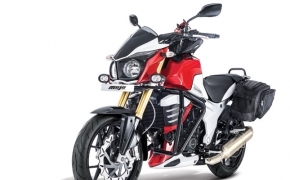 Mumbai, July 30, 2008: Acquisition of KMCL, Mahindra & Mahindra Ltd. (M&M), India's leading automotive companies, announced that its Board of Directors approved the acquisition of business assets of Pune-based Kinetic Motor Company Ltd. (KMCL). The acquisition was done through a New Company to be formed. (New Co.). 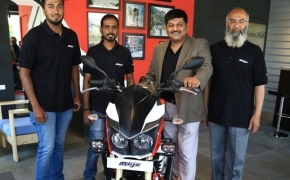 The consideration for the acquisition is a sum of Rs.110 crores (subject to closing due diligence) plus 20 percent stake to KMCL in the New Co. M&M holds the balance 80 per cent of the equity.The deal enabled Mahindra to design and market a range of scooters, value engineered motorcycles and high-end motorcycles for the Indian and global markets, helping it establish a robust, end-to-end two-wheeler business in every segment of the industry. The acquisition of business assets of KMCL is a defining moment in the history of Mahindra as it gives us an opportunity to emerge as a full range player with a presence in almost every segment of the automobile industry. 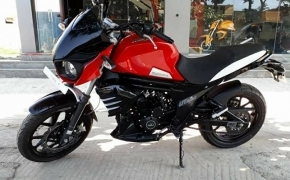 The new Mahindra Gusto 125 is featured with 125cc M-Tec CVT engine and it has carried the list of features from the existing lower capacity Gusto. 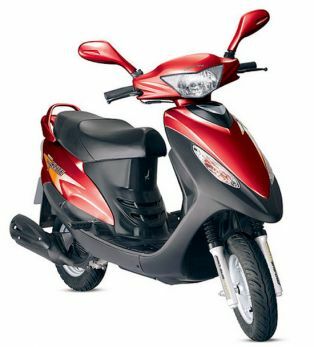 The front telescopic suspension is equipped with air spring for better ride. 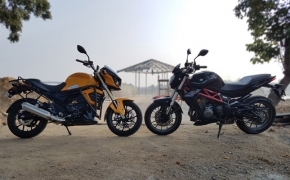 Bigger 12 inch tubeless tyres are standard fitment on the new Gusto 125. 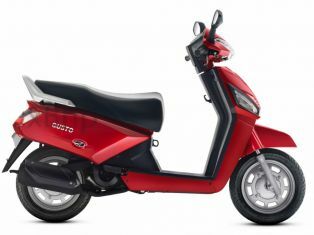 Gusto is a feature rich auto scooter from Mahindra equipped with 110cc all aluminum M-TEC engine. 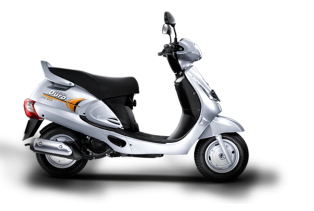 The scooter has loads of features like Remote flip key, height adjustable seat and find me feature. 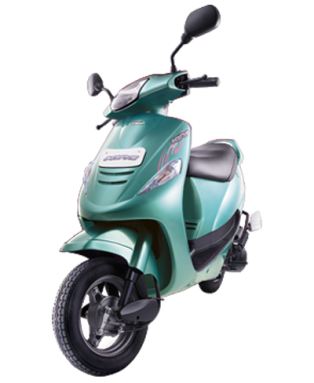 Mahindra Centuro is a 106.7cc commuter from Mahindra with lots of premium features, which even hardly available in entry level car. 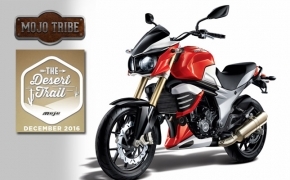 The bike comes with unique remote key with anti theft features and &quot;find me&quot; feature at parking. 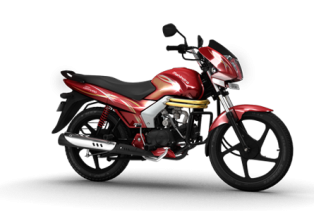 Pantero is a entry level offer from Mahindra having same 106.7cc 4-stroke engine as in its premium class commuter &quot;Centuro&quot;. 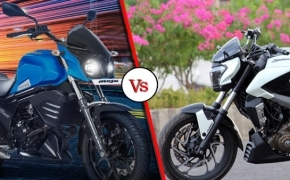 The Pantero seems to be inspired by Mahindra&#039;s very first motorcycle offered to Indian market- &quot;Stallio&quot;. 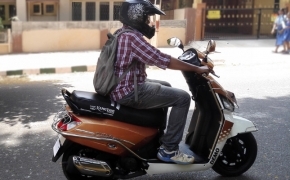 Mahindra Kine is an auto gear scooter by Mahindra which Mahindra has acquired by &quot;Kinetic&quot; when it had taken over the company with all of its that time existing product line. 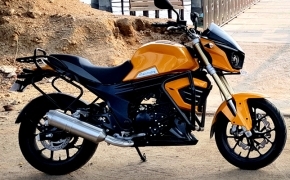 Stallio was the first motorcycle offered by Mahindra in early 2010. 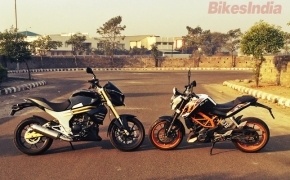 With Stallio, Mahindra introduced itself into the two wheelers market. Even being endorsed by AAmir Khan Stallio was doomed to be a failure. 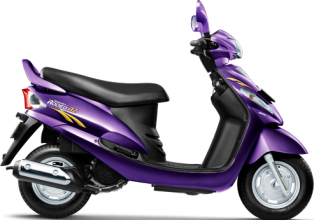 Mahindra Rodeo is a smart looking auto gear scooter designed and developed by Mahindra with the help of Taiwanese company- SYM. 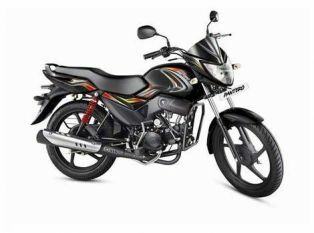 The Rodeo is having newly developed 125cc 4-stroke engine, which churns out healthy 9.0 Nm of torque. 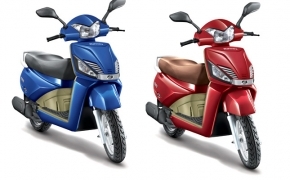 The Flyte is a powerful 125cc 4-stroke auto gear scooter by Mahindra. 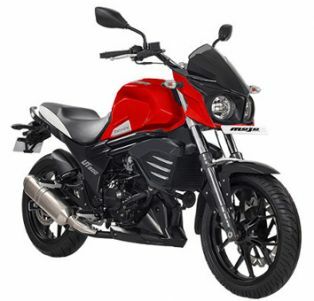 Mahindra had acquired this brand from Kinetic Engineering along with couple of others when had taken over the company. 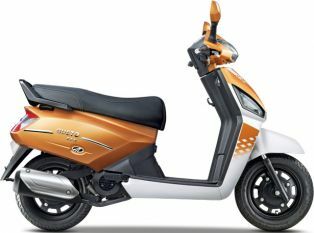 The Duro is another offering from Mahindra in auto gear scooter segment. 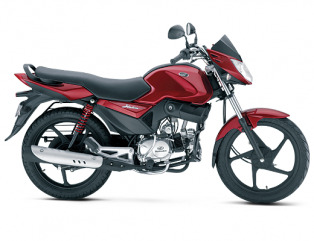 The Duro was launched simultaneously with &quot;Rodeo&quot;, both share the same platform and same 125cc 4-stroke engine. 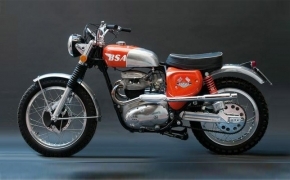 Return of BSA and JAWA Motorcycles in India!